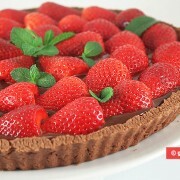 It is a gentle and delicious roulade filled with butter cream and enriched with a magical strawberry aroma. It has become our favorite dessert. 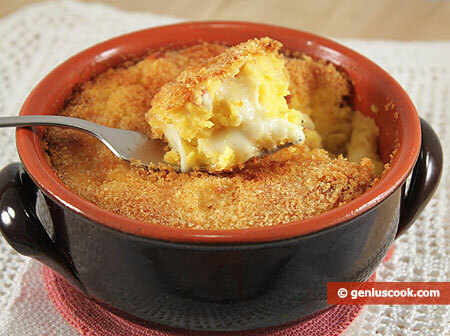 We are sharing this simple recipe that keeps pleasing us with excellent results. Powdered sugar for sprinkling roll. Chop the strawberries, add 50 gr. sugar and cook marmalade over low heat until thick. 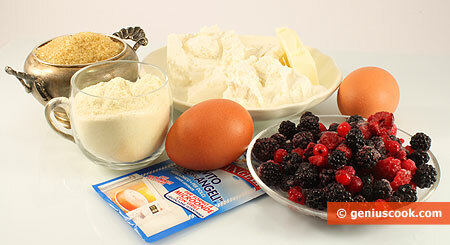 Whisk the eggs with 100 gr. sugar until you get lush light cream. Add 2 tablespoons olive oil. Continue whisking on low speed, gradually adding the flour mixture. Make the batter. Lay the parchment over the baking tray, grease it, and pour the batter on it. Spread it over the baking sheet evenly. 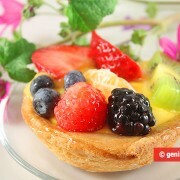 Bake in the preheated oven, at 180C/ 350F 12-15 min. Whip the cream with 50 gr. sugar; add mascarpone and 2 tablespoons of strawberry marmalade. Whisk until fluffy homogeneous butter cream. When baked, cover the dough with another layer of parchment and flip. Remove the parchment. Spread the marmalade over the entire surface of the biscuit dough, leave for 10-15 minutes. Then spread an even layer of butter cream on top. Roll the dough with the help of the parchment. Wrap it tight in the parchment. Leave in the refrigerator for a couple of hours. Place the Swiss roll on a platter, cut the extreme pieces on both sides. 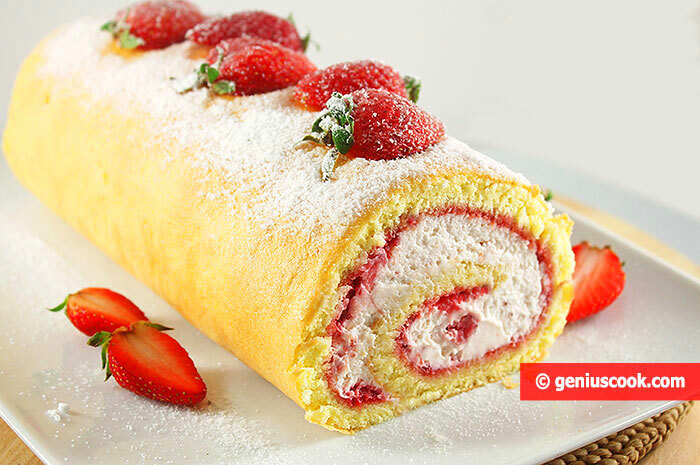 Sprinkle the Swiss roll with icing sugar and garnish with fresh strawberries.